Today was a nice change of pace from the typical takeout lunch. The team had a potluck to say thanks to one of our friends who is particularly awesome at his job. 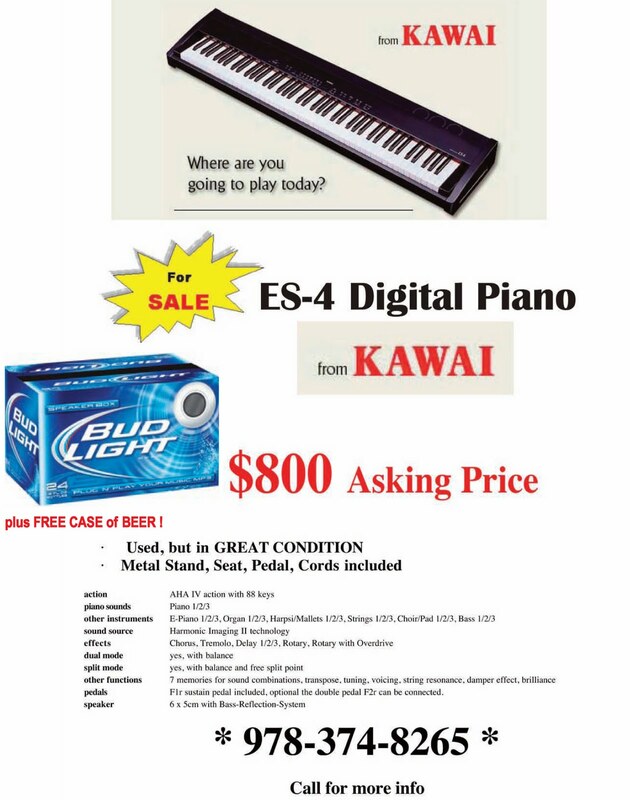 I received an email from one of my delightful co-workers, and he has given me permission to reprint this because I laughed so hard I sent tea out my nose (and because he really wants to sell this piano!) Click on the photo for more details. Beautiful KAWAI ES-4 Digital Piano — LIKE NEW — $800 or B.O. The kid took piano lessons, we had an old piano for practice. The Kid told us the old piano was making her sound terrible. We purchase a new beautiful piano. The Kid was terrible. We have a beautiful piano for sale. I can email you more info. We live north of Boston. I can deliver. Please buy this, and I'll add a case of beer; in case your Kid is terrible.